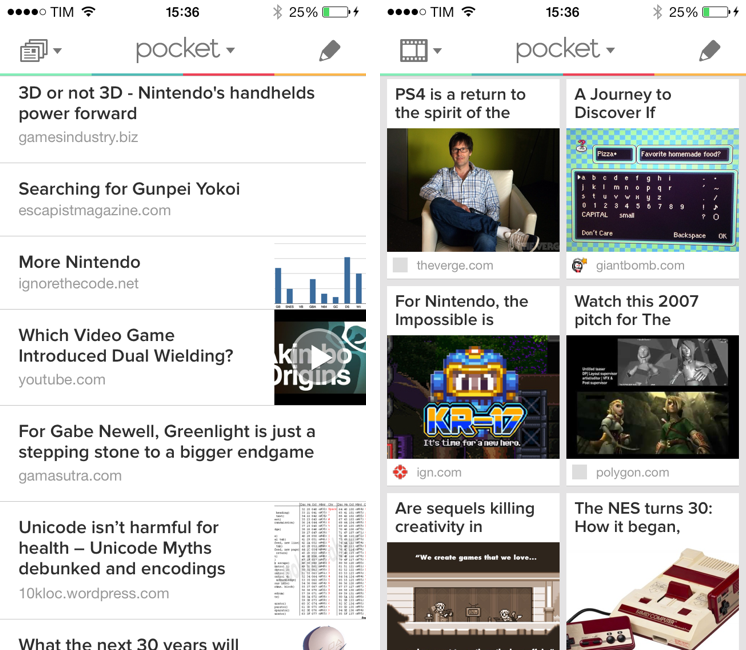 It's nice to see Pocket is continuing to add new features exclusive to Premium subscribers. In the 6.2 update released today, Pocket has introduced 7 new fonts (including two of my favorites – Whitney and Ideal Sans), plus controls for line height and margin width. There's also a new Auto Dark Mode setting (which could be a nice companion to Night Shift on iOS 9.3). I've been trying Pocket again because of Recommendations (you can follow mine, too), and I had already bought a Premium subscription last year, but I haven't found much utility in the permanent archival and auto-tagging functionalities. More typographic controls is something I deeply appreciate, and I hope we'll see more Premium features this year. 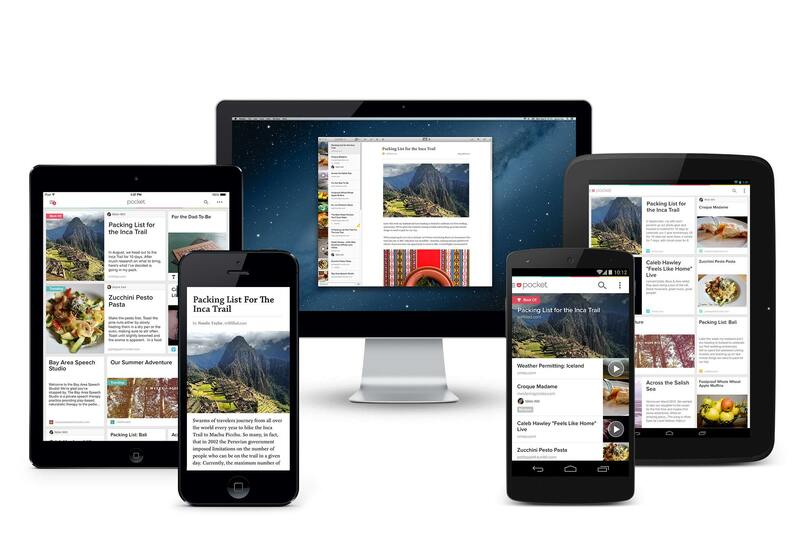 Pocket wants to build a save button for the Internet, and with over 2 billion items saved to the service the company is now turning to personalization as a way to entice users to save more to get more out of it. 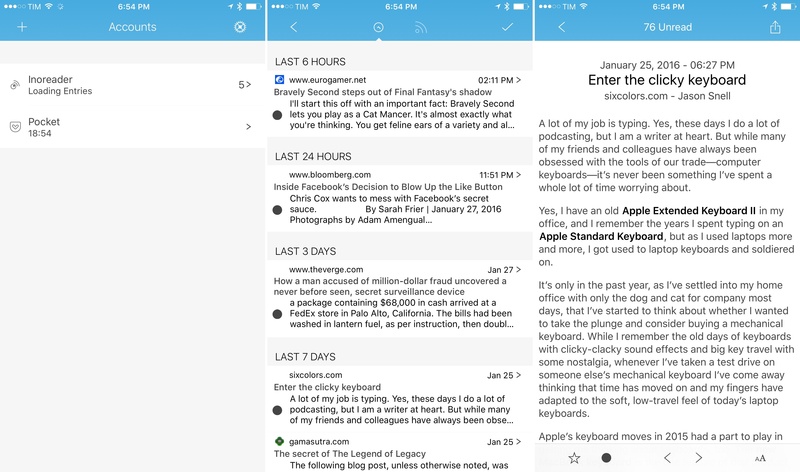 Today, Pocket founder Nate Weiner has announced a public beta of Pocket for iOS, Android, and the web, featuring a new Recommendations feature to receive new items similar to what has been saved in the main list.